In business, we are naturally positioned to think the “customer is always right”. Is this true? Today we live in a society where instant gratification is adorned and outright expected. Customers have options and, as a result, have decreasing attention spans. Businesses try to create content that is relevant to customers by using social listening, partnering with influencers, and establishing a comprehensive content marketing strategy. In essence, all of these tactics are useful but become useless if you are not customer centric. A business can create riveting content worthy of an Oscar, Emmy, SAG award, or even a high five. 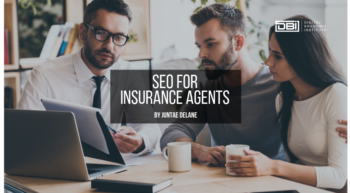 However, if its customers are unable to reach a representative, smoothly navigate through its website, or find the business’ social media presence, that great piece of content means nothing. With this in mind, it is critical to be customer-centric in your business operations. It’s truly what supports great content. Let’s face it, you cannot manage to handle all of your customer challenges. And even if you can, it will be very difficult to manage this quickly and efficiently. So, by adopting a customer-centric approach to your customer service efforts, you will create an environment of support that thrives online. For instance, if you empower current customers–particularly advocates–to chime in on your customer service efforts, you will have more satisfied customers. Customers dread trying to find a phone number and calling customer support, or submitting a contact form, they are turning to social media as a viable alternative. Better agent efficiency. Crowd-sourced knowledge helps agents resolve issues faster. More satisfied customers. Social customers often get better, faster answers which means increased customer satisfaction. Less support calls. We find answers to questions online (put there by others like us). It’s common knowledge to know that social media is a place for people first and brands second (or if at all…I would love to know your thoughts about this in the comments section). So, to increase your reach and engagement, you must find advocates to create content on your behalf. Simply put, customers trust User Generated Content (UGC) more than content produced by brands. This is a form of Word-of-Mouth marketing (WOM) that can amplify your content in many niche consumer markets. PBS does an excellent job at using a popular song to create UGC and increase awareness of its IndependentLens program. Tip: Did you know UGC boosts search results and drives more traffic to your site. I had clients that believed it was only beneficial within social media. They noticed it enhanced their SEO efforts as well. Social commerce is revolutionizing the way brands engage on social media. I mentioned earlier that social media is a place for people. Once social shopping functionality comes to fruition, it will be a game-changer for brands. At that point, customers will value a brand’s social engagement more than any time prior. Brands can offer immediate gratification by providing the ability to purchase a product referenced by the brand and the influencer. Being customer-centric starts with attracting customers and increasing their confidence with peer reviews. Establishing this confidence is especially important as you’re more likely to increase social commerce transactions via peer reviews over brand generated posts. Relevance – 51% of us use social to share an experience with brands and products–building highly trusted UGC. Reach – 1.5 billion people using social media today can interact with your brand anywhere they are. Conversion – Enlisted social customers (those who curate, read or review) are 250% more likely to convert. 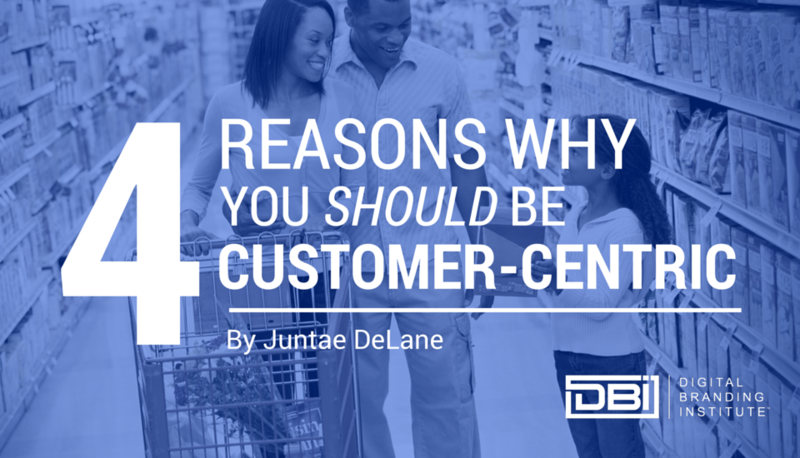 Why you should be customer-centric is not a question to ask to shape your view of customers. This question can also focus on how customers can provide for your business. One growing trend within the social space is crowdsourcing. Having your customers work for you mean crowdsourcing ideas to accelerate your product or service innovations. By soliciting ideas from your current customer base, your new product or service is much more likely to be successful. Decreased cost and time to market. Crowdsourced innovation brings more and better ideas to market faster than a focus group. Reduced risk. Crowdsourced ideas come directly from the marketplace–already customer tested. Better customer experience. As co-creators, customers participate more meaningfully in their customer experiences. Being customer-centric isn’t thinking that your customers are always right. Being customer centric is about establishing social support as well as improving your social marketing, commerce and innovation. By adopting a customer centric approach to your customer service efforts, you will create an environment of support that thrives online. Being customer centric starts with finding advocates to create content on your behalf, attracting customers with peer reviews, and crowdsourcing. The “customer is always right” no longer applies to what you can do for your customers, it applies to what your customers can do for your business. Including them in your business processes will increase brand loyalty and create advocates to amplify your message. So, what are you doing to be customer centric? Do you believe social media is a place for people first and brands second?